The Subaquatic Services of Belize Hyperbaric Chamber in San Pedro held a valuable presentation at the Lions Den as part of its continuous vital service to the Belize Diving Industry. 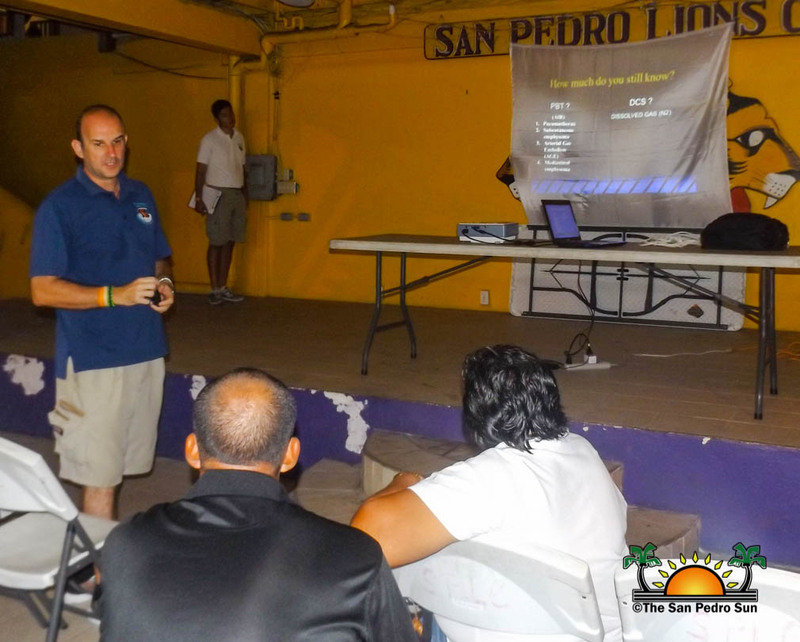 On Tuesday, September 15th, local dive operators and dive masters/instructors were provided with a presentation full of guidance as what to do when dealing with diving related incidents. One of the most common situations divers may encounter is decompression illnesses, but simple steps can avoid this. Leading the presentation was Kevin Morgan, a patient coordinator working in a hyperbaric chamber in Thailand. He explained about the importance of getting acquainted with decompression symptoms and delivering the adequate attention to a patient. “Tonight’s presentation is mainly to educate local divers more about decompression illnesses and understanding it. I have known professional divers that sometimes get confused with the symptoms or signs of decompression sickness and then we can have a misunderstanding of what is really happening, and this can be critical for the customer. Diving is a fun sport and everyone needs to know what can happen if the safety measures are not taken. It should be a safe experience for customers. Once we can identify the signs of illness adequately, we can then apply the proper attention to the patient. Some common symptoms are pain in the muscles and joints, cramps, numbness, nausea and in extreme cases paralysis. However, if we know what are the risks associated with these type of incidents, then we can avoid them before they happen. Two of these risk factors to highlight are ascent from deep waters and leaving a high- pressure environment,” said Morgan. He also mentioned that divers should ensure they have travel insurance which can cover them in case of any incidents during their vacation. Another suggestion given to dive operators is to provide divers/customers with not only water but natural juices and fruits during dive expeditions. Water is good to keep the body hydrated; however, natural juices and fruits can provide the needed nutrients that are not in water. The Hyperbaric Chamber thanks all members of the dive shops who attended the presentation. 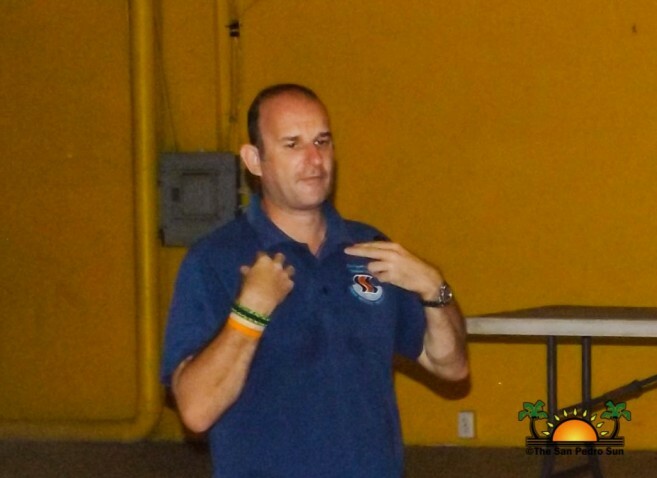 This is a continuing educational program which ensures there is a level of preparedness by the many dive instructors and tour operators. For more information on the type of services offered at the chamber, email [email protected] For any emergencies, contact 226-2852/3195. The Subaquatic Services Hyperbaric Chamber is located on Lion Street directly across from Maya Island Air.